Hey everyone... who's ready for the October New Release from the Alley Way Stamps? We've shown peeks of all the sets and today we are hoping to show even more fun inspiration. I'm showcasing the Mini set Chilly. 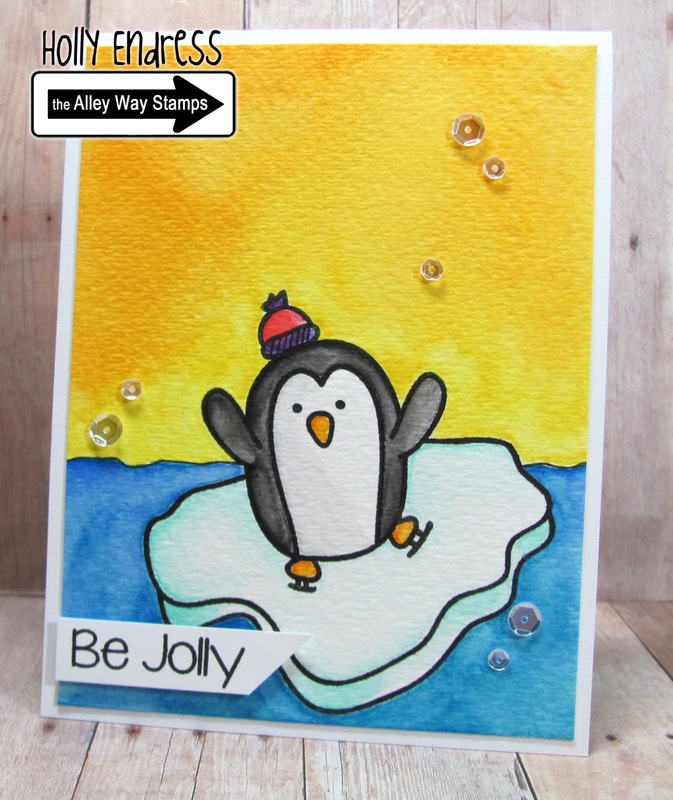 This fun set is Free when you spend $40 or more in October.I stamped the penguin from the new set Waddle Pals onto the ice for a fun scene and then I colored the images in with watercolors and created a fun background as well. I trimmed the panel to 4 x 5 1/4" and added it to a standard A2 top folding card base and then I stamped the sentiment from Chilly as well onto a piece of white card stock and created a little banner. For some added sparkle I used some Sparkling Clear Sequins from Pretty Pink Posh. Such a fun combination of sets.. These penguins are adorable too! So who's ready to hop.. Hop along and be sure to enter to win on the Alley Way Stamps blog. We are giving away all three of the new sets today only!!! I hope the penguin doesn't fall off his ice block. Heee such a fun card, I'm lovin that penguin! Very cute--I like your coloring. Super cute card!! 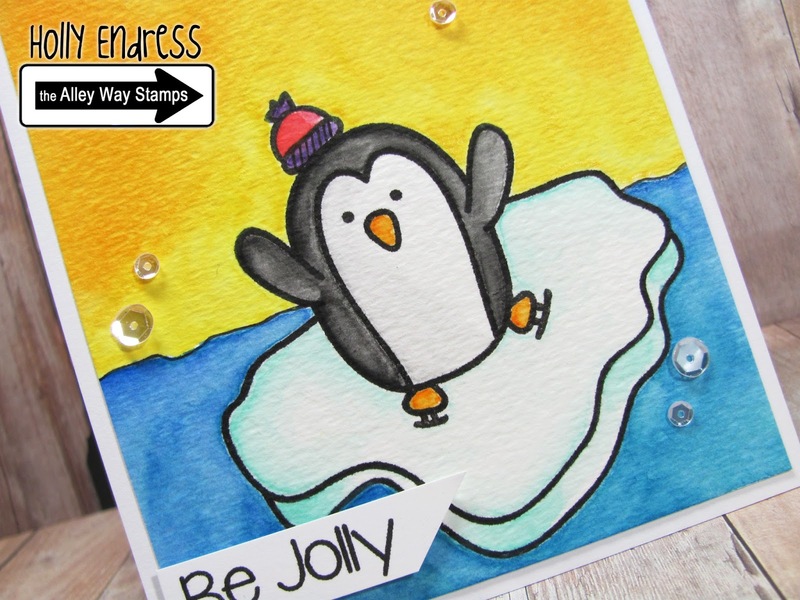 Love the bright background and cute penguin. Adorable penguin and awesome watercoloring! Love this sweet card! Oh just adore that bright yellow sky! Such a darling card! This is amazing! I love the contrast of the blue and yellow and how it actually looks like water because the line isn't straight between the two. Love this card! Love this funny cards. It cheers me.